Being part of The Blue Envelope® of coupons aligns your business with a trusted national brand, boosting both loyalty and brand recognition. Sharing the direct mail cost with other advertisers helps you increase exposure while staying within your budget. Ramp up your online presence with Valpak’s digital solutions. As a Google Premier Partner, we provide expert search engine marketing tactics so people can find you easily. We also offer SEO, local business claiming and social media marketing to improve your “findability” online. Track your ROI more accurately with our state-of-the-art consumer response tools. Valpak’s call tracking and performance dashboard measure traffic from your assigned, dedicated phone number and the URL for your printed marketing piece. Let Valpak of Mid Hudson Valley help you target new leads and drive greater revenue in Poughkeepsie, Middletown, Newburgh, Kingston, Monroe, Wappingers Falls, New Windsor and other nearby New York cities. For specific dates and coverage, contact your Valpak of Mid Hudson Valley representative. 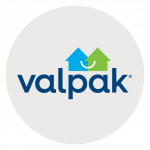 Valpak of Mid Hudson Valley is an independently owned Valpak franchise.